Piper, a golden retriever, is among the first cohort of graduates from the Canadian National Institute for the Blind's new guide dog program. His handler, Alycia Pottie, is already giving him rave reviews. A new graduate whose skills are in high demand has managed to snag a job in Nova Scotia right after crossing the stage with his mortarboard cap. 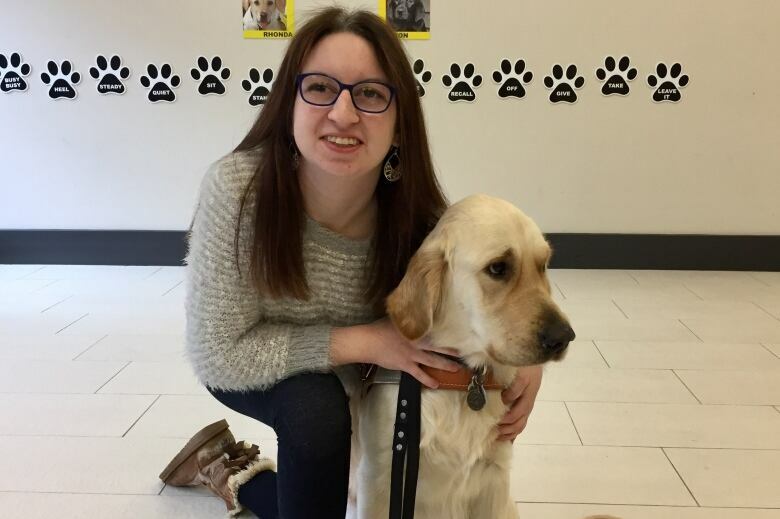 Piper, a golden retriever, is among the first cohort of graduates from the Canadian National Institute for the Blind's new guide dog program. His handler, Alycia Pottie, is already giving him rave reviews. 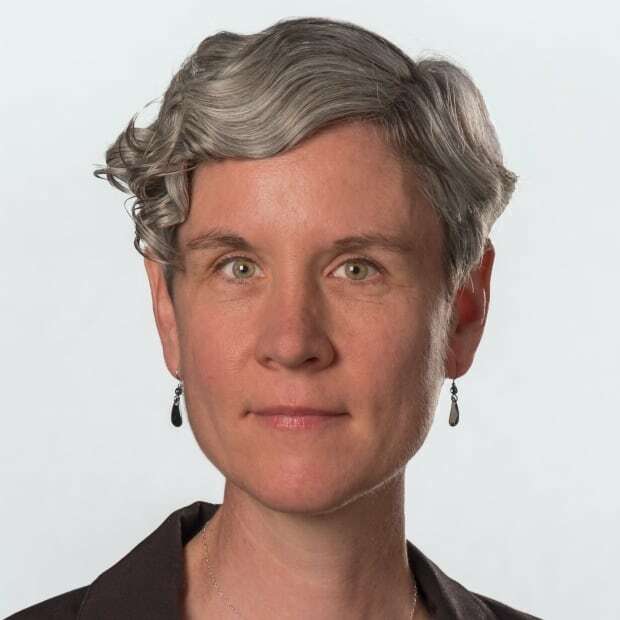 "Piper is great. He is adorable," she said. "It's really helpful to have him with me. And not only that, it's like you always have your best friend with you by your side." The CNIB started the guide dog program because the waiting list at other programs in Canada was so long that many people were going to the U.S. to get matched with a dog. Although only six dogs graduated in the first group, the CNIB hopes to eventually match about 100 dogs per year. Only about half of the dogs trained by the CNIB make it to graduation, as Piper did. Some don't pass due to health issues or because they're nervous in traffic or otherwise unsuitable to become guide dogs. The CNIB program provides the dogs for free and covers food and veterinary bills for the animal's lifespan. The dogs, which are brought to Canada from a breeder in Australia when they are about eight weeks old, live with a volunteer puppy-raising family for the first year before they begin their training, which takes 18 to 24 months. Then, the handler receives training with the dog for about three weeks. Pottie and Piper trained together during a trip to Ottawa and Montreal last month, which included going on a train and the subway and a visit to the movie theatre. "He slept through the entire movie except for one part in The Grinch where he gives Max a squeaky toy — and then the dogs were pretty excited." 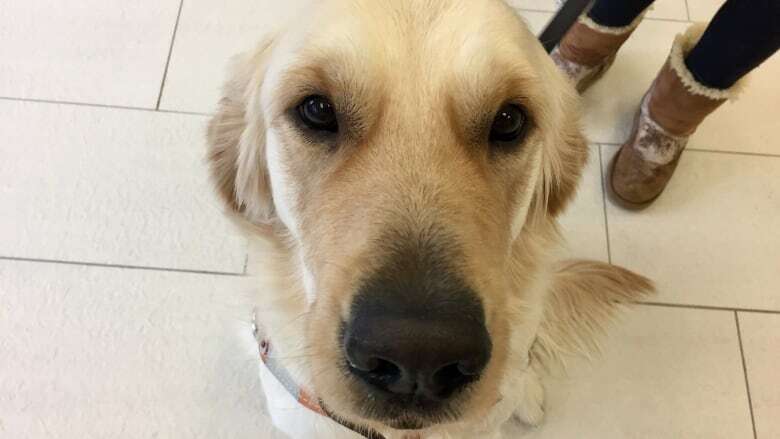 Pottie said under other guide dog programs, human partners know almost nothing about their guide dog before they start training together, including the dog's name, breed and personality quirks. But the CNIB shared information early on in the process, which allowed her to better prepare. Piper has been home with Pottie for about two weeks now and is fitting in well with her other dog, her two cats and her one-year-old daughter. 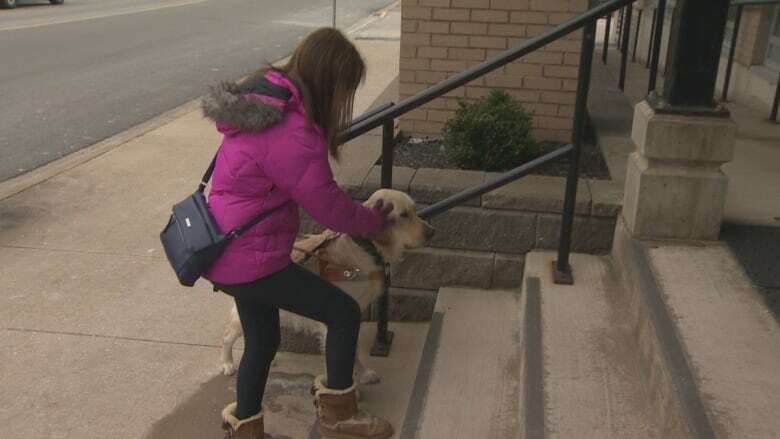 Piper will help Pottie get around her neighbourhood and the Mount Saint Vincent University campus, where she is studying psychology. He knows how to find stairs, elevators and doors and can be trained to find elevator and crosswalk buttons. "All of that comes in handy when you're trying to navigate the world around you when you can't see," she said. Pottie said she much prefers using a guide dog to using a cane, which sometimes can get stuck below tables and chairs at school. "It just really enhances your confidence and allows you to be more independent," she said. "And especially becoming a mom, I wanted to really show my daughter that despite being blind that I can do anything anyone else can do and Piper's going to allow me to do that." Piper is already becoming popular on campus — maybe even a little too much, since people often stop to speak to him while he's working. Pottie said people shouldn't pet or talk to Piper when he's on the job because it can pose a hazard to both of them. "If we're walking around campus and we encounter a staircase or something and he gets distracted, he might not stop and notify me that that's there," Pottie said. "I do still have some vision left, so I do see how beautiful he is, but it's best to just ignore the dog."